Sometimes , you accidentally deleted your photos or any data from your mobile or from your computer, also, sometimes your mobile's memory card become corrupted and you have to format it . There is sudden loss of data in these cases. So, you should backup your data frequently. If you want to recover your deleted or corrupted data , you can use this software for free recovery of your data. 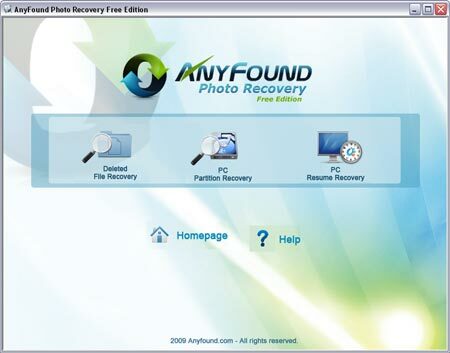 Download Anyfound recovery software from here. select deleted files or formatted files options. Select the drive where you want to save recovered files and click "Recovery". A list of files will be there , select files to recover and click "Save File"